Engine Cover - is it necessary ? Car: Evora S IPS Sports Racer Daytona Blue. Is it necessary to use the engine cover? I’m my old Alpine GTA Turbo if you used the car without the cover the heat caused the tailgate glass to fail usually on opening or closing the tailgate. 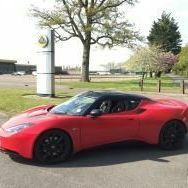 Foes the cover in the Evora serve a similar purpose to prevent heat damage of another purpose that is more than just aesthetic ? I prefer the look of the engine bay without the cover. If it makes any difference mine is an S.
The later ones didn't come with a cover anyway so presumably it has no detrimental effect removing it. I did consider 'losing' mine not long after I got the car but the NA engine isn't that exciting (or pretty) to look at so treated it to a nice red 'motorsport' one instead, . I remove the cover on track to let the heat out. No glass failure. I have now removed the glass and installed a louvred cover. No. It’s purely a cosmetic piece. (I have replaced mine with the smaller, Exige covers. But I’ve only got those to help keep the rain off some of the electrical bits). That looks good. Did you have to adapt the Exige covers? Are they carbon fibre? If so where did you source them from? Yep, cf engine covers. I bought them from elise-shop.com but I’m pretty sure that they are made by HKFever. (It might be slightly cheaper to go direct). Regarding the fitting kit, these are just a series of bolts or brackets which are fitted to the V6 Exige, just not the Evora. elise-shop.com will sell you it as a kit but it is (slightly) cheaper to get the part numbers from their listing then order the parts separately (from @Bibs, for example). Not to hi-jack this thread but can you elaborate on what your CAI system is!? Looks huge... and very efficient! Looks a bit like the BOE version. They are all variations on the same theme (because they use the same ITG filter). Where is your MAF relocated to? Good spot. My engine now has a MAP. are you running an aftermarket ECU?